Can you believe its May already? I feel like we are on the fast track to summer. Don’t get me wrong, I am DEFINITELY not complaining. I love summer! I especially love the sunshine, and I really especially crave the sunshine now that we live in Oregon. The weather here is no joke. It rains practically 9 months out of the year. The other 3 months are HOT and rainless. We wind up with a drought nearly every summer. Oh, and did I mention we don’t have central air? We finally got smart and when this backyard pool went on clearance last winter for just $60, we snatched it up. I haven’t set it up yet, but as soon as its consistently warm out, I am going to fill up that bad boy, and I won’t be getting out until September. If you’re planning on hitting the lake, the ocean, the pool or even just your own back yard, you’re gonna want some summer fun essentials. I found a few fun deals, all under $30 to make your summer a little sweeter! 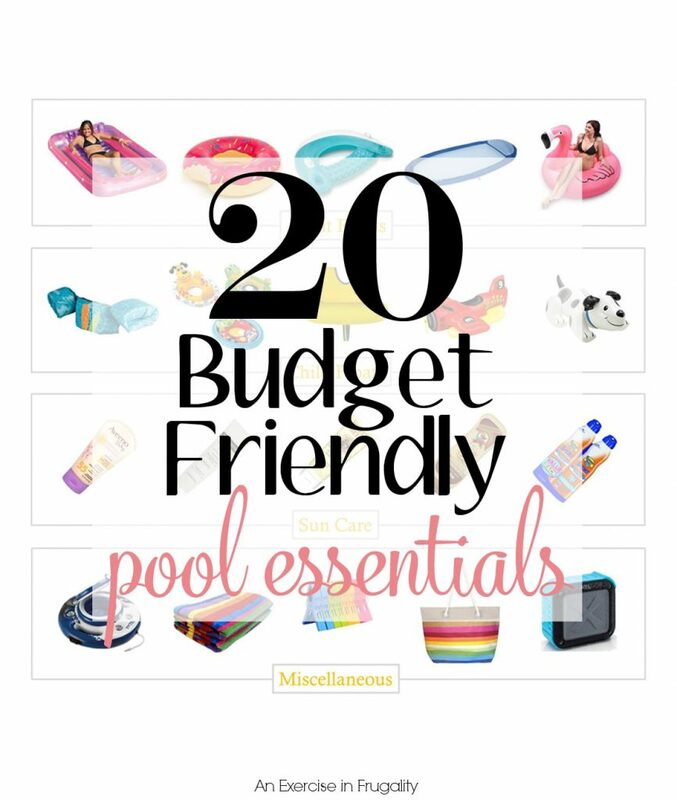 These are perfect for the beach or the pool, and they won’t break the bank. These are all pretty good deals, and of course most of them have free shipping with Amazon Prime. If you don’t have Prime yet, you’re missing out. We love Prime and we order stuff from Amazon CONSTANTLY…even our dog food! You can’t beat free shipping, its cheaper than the pet store AND I don’t have to lug a 30lb bag. Heck. Yes. Anyway, if you don’t already have a Prime membership and you want to try it out, head over here and grab a free 30-day trial of Amazon Prime. You can’t beat free 2-day shipping, it quickly pays for itself! 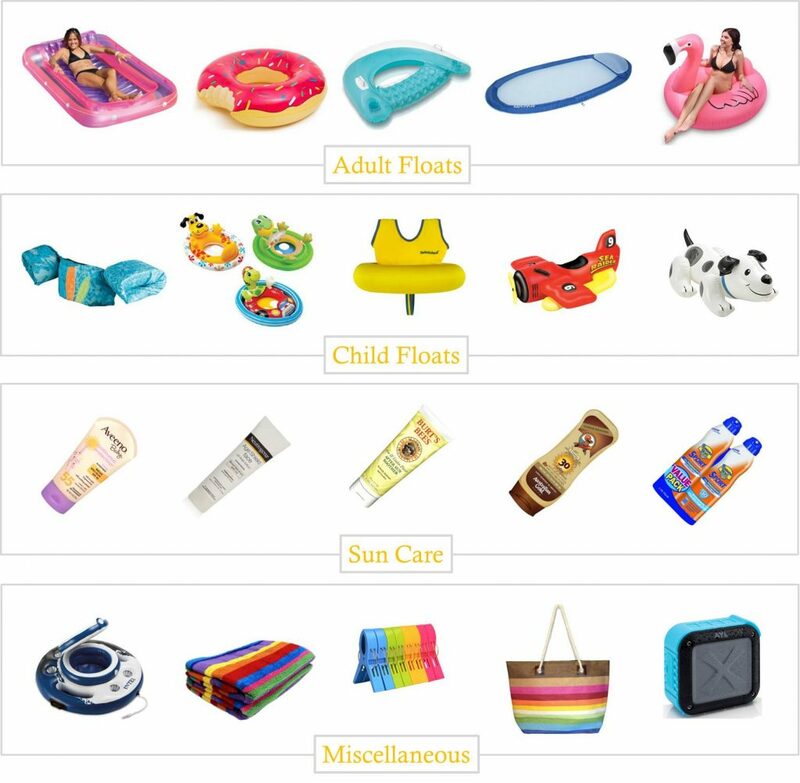 What are your favorite summer pool must-haves?